Bullion Bank Run: Are Gold and Silver Prices ‘Manipulated’, or Not? Are Gold and Silver Prices ‘Manipulated’, or Not? It is unlikely that gold and silver prices are not ‘manipulated’, given that every other market is – but the question really is whether governments and central banks are part of the process, or not. There remains a debate over whether gold and silver prices are ‘manipulated’, although perhaps the debate should actually be are the prices manipulated by central banks, governments and the major investment banks in an attempt to control (suppress) prices. 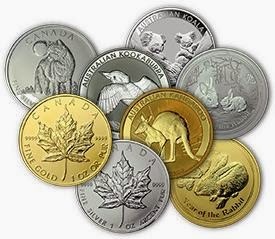 In truth, of course gold and silver markets are manipulated – as is virtually every other market on the planet. It’s really a question of how one defines manipulation. Short selling, or concerted buying, by big money, particularly through the use of High Frequency Trading, of any stock or commodity could be considered attempted manipulation and no-one doubts this goes on the whole time in virtually any market or stock one cares to name. It’s part of the modern financial system and however one looks at it, it probably should be considered at the very least unethical, if not, in some cases, illegal, although market regulators turn a blind eye. It gives market advantage to big money which the average investor cannot hope to counter and thus creates a far from level playing field hugely in favour of the major institutions – or at least those with big money at their disposal. That’s how the rich get richer. However that’s not really the debate with gold, and to a lesser extent its less costly sibling, silver which just tends to move in exaggerated concert with gold. Here we enter the realms of global power plays because of the historical significance of gold as the ultimate measure of wealth, for an individual – and even more so for a nation. Gold is perceived everywhere, much as Western economists may deny it, or disapprove of it, as being the yardstick against which key currencies are measured. Rising gold prices in any currency are not real increases. It is the declining value of currencies against the golden constant which is the reality. Now governments and the central banks do not like the weaknesses of their currencies being emphasised for all to see by their depreciations in terms of gold and, so the argument goes, they may do their utmost to prevent the gold price rising outside certain controlled parameters. Indeed if they can actually cause the gold price to dip that is a job particularly well done. Now arguably, back in the northern summer of 2012, gold looked to be in danger of breaking out hugely upwards, only to see a subsequent series of price reversals bringing it back, at one time, around 40% from its high point. This is not seen by the gold bulls and entities like GATA, as just a bubble bursting and extreme profit taking by the investment community, but they attribute more sinister motives to the recent price pattern and see governments, central banks and their major investment banking allies as acting in concert behind the falls. And given that governments and central banks openly ‘manipulate’ currency exchange rates to meet their perceived requirements in the global marketplace, if one looks at gold as a currency then it is perhaps inconceivable that these entities are not involved in attempts to move the gold price in a direction which suits them and their global financial policies. Some of the arguments on governmental and central bank involvement in the control of the gold price have been superbly laid out in a recent article called Gold Manipulation 101 by Bill Holter of Miles Franklin Precious Metals Specialists. Holter notes in particular that he has explained over his career many times “why” gold would surely be manipulated and that the Fed (and other foreign central banks) would be foolish not to try to suppress the price. Gold is THE main competitor to fiat currency, an exploding price is like a neon sign advertising policy failure and currency flaws, as Paul Volcker once said, “It was a mistake to let gold get away from us.” And then goes on to explain exactly how this price suppression was achieved in the past and how it is today. Back in the 1960s and 1970s the process of keeping the gold price under control – once the gold window had been opened – before which gold had effectively been at a fixed price – was handled by the London Gold Pool where physical gold was sold on the London Market so as to meet any excess demand until gold stockpiles were depleted to the extent that this control could no longer be achieved and the price then spiked up to $850 in 1980. The problem then became how to supply gold to meet any excess demand and thus get, and keep, prices under control again. This appears to have been done by persuading the major gold producers to forward hedge their gold sales to protect their profits going forwards which effectively brought, as Holter puts it, 1,000′s of tons of gold “forward” for sale and on to the market. It had not been mined yet but the true intent and result was to place excess supply (which had not even been mined) onto the market to depress the gold price. Some see this as collusion by the gold miners in gold price suppression although, in our view, it was slick salesmanship by the bullion banks which handled the forward sales contracts. Indeed the hedging, and eventual gold price recovery, after the ‘Brown Bottom’ of 1999-2002 which saw the low point in the gold price as the U.K. sold half its gold reserves under the Chancellorship of Gordon Brown (later to become the UK’s Prime Minister), accompanied by rising costs, that led to the demise of some gold miners – notably Ashanti Gold Mines which had to be rescued, by being swallowed up, by AngloGold. But, in the interim COMEX trading and paper gold took precedence as the prime manipulation tool with vast volumes of paper gold being pushed onto the futures market as gold looked to be starting to take off again which, in conjunction with High Frequency Trading (HFT), contributed to a number of flash crashes in the market, usually taking place out of U.S. trading hours when markets were thin. Some of these flash crashes were major with huge numbers of contracts being sold with the very obvious intent of triggering other HFT stop loss sales and thus creating huge downward spikes in the markets. These also had the effect of driving further sales out of the ETFs and thus adding physical gold supply into the equation. Finally Holter points to the last and longest lasting method to manipulate gold’s price has been the “leasing” of central bank metal. This, Holter reckons, arose from the 1996 U.S. ‘strong dollar’ policy which meant somehow keeping the gold price down and at this point Central Bank gold leasing was introduced whereby Central Banks could lease out their gold at a ridiculously low rate to a bullion bank, while the latter could sell the gold on and invest the proceeds at a far higher rate in ‘safe’ government bonds. A no-brainer for the banks – and because the gold was leased, not sold, has enabled the central banks to retain the gold in their books as it is a loan. Much of the gold sold though has been converted into jewellery – or found its way into other strong hands - and as the gold price has risen, while physical metal remains in short supply, it seems unlikely that the gold can actually be returned to the central banks in physical form. (Hence the speculation as to why it is taking seven years for Germany to get its 700 tonnes of gold back from the central bank depositories in the U.S. and France). As Holter concudes, Any and all of this could be proven beyond any doubt and the perpetrators brought to justice and jailed within just a few days. There is a paper trail for all of this and the Justice department would have slam dunks all over the place…but there is a small problem. They can’t (and won’t) prosecute “themselves” because ALL of these schemes had one goal in mind, suppress the price of gold. This is exactly the “unofficial”…official policy. This is the theory of the actual practice behind gold price manipulation (suppression) by governments and central banks and their allies in the financial hierarchy. There are still many deniers out there who put the strange gold price flash crashes of the past two years down to market forces, but the access to the kinds of funds necessary to perpetrate them does, in our minds, suggest that there are indeed other factors at play here than purely banking and fund financial ones. Of course there are other factors in the equation now, which will ultimately see any suppression scheme fail long term, but may just lead to other forms of manipulation elsewhere for political advantage. As we have pointed out in these pages a number of times recently, Chinese demand is almost capable on its own of absorbing the total of global new mine production and thus, along with other gold purchasing nations demand for physical metal by strong holders seems to be exceeding global supply. This means less and less physical gold availability in the West which ultimately has to diminish the capability of those trying to control the gold price to do so – particularly as outflows from the ETFs slow down. But then we may just be seeing a transfer of gold price manipulation capabilities from West to East and who knows what that might bring in terms of pricing. Gold is significant enough in its global financial position for someone to want to control it – it just depends who will have the future financial muscle to do so – and what their agenda might be.